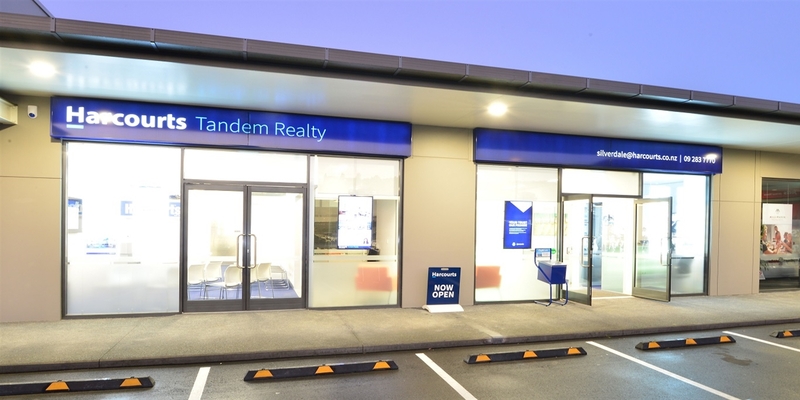 Harcourts Silverdale are part of a franchise called Tandem Realty Ltd, owned and operated by Hibiscus Coast locals; Nick Langdon and Karl Martinovich. Created in 2010, Tandem Realty was a success from the outset, immediately growing from 4 to 6 offices, including a separate division, Tandem Property Management. We offer a full range of Real Estate services, specialising in Residential property, Commercial Sales/Leasing, Investments, Rural and Lifestyle properties as well. We’ve continued to grow and adapt to the changing environment, which includes technology. In 2015 the Silverdale office opened, which is one of the most technologically advanced real estate offices in the country. We’re strong believers that people make property and so we invest heavily in our staff, through in-house training programmes, mentoring and bringing the best new talent into the business, while retaining our expert professionals. Sitting at approx. 80 salespeople and staff at current - our forever growing team are enthusiastic, knowledgeable and committed to guide and assist you whether you are in the market to buy or sell a home on our beautiful coast! Our experience and expertise is second to none, with salespeople who have been selling in Silverdale and on the Hibiscus Coast for many years, with many happy customers. Systems run the company and people run the systems, so we focus on employing the best of both worlds here. The proof is in the pudding; our staff retention is exceptional, once people join the team, they stay at Tandem. Our management team are exceptional mentors and focus on the human aspect of real estate. In the ever changing digital world, we believe the only way to create success for our salespeople is to embrace change, be progressive and to open the door to opportunities. We have the Rodney District covered! With offices in Orewa, Silverdale, Whangaparaoa, Warkworth, Snells Beach and Helensville. Further, we have access to the extensive network of experience of New Zealand’s largest, most innovative and most preferred real estate provider. At Tandem Realty we view ourselves as a community based business; we just happen to specialise in real estate. Ultimately, we’re just two regular blokes that had a dream, did the hard yards and carried it to fruition. In between fishing trips of course!